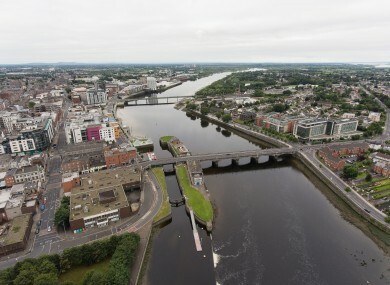 A REVIEW OF the plan to regenerate Limerick has found that the work being carried out in four areas across the city is having a positive impact on communities. The comprehensive review covered the two years since the plan – the Limerick Regeneration Framework Implementation Plan (LRFIP) – was adopted by councillors in February 2014, is divided into three pillars: social, economic and physical. Launching the review, Minister for Housing, Planning, Community and Local Government Simon Coveney said: “The challenges we face in the area of housing include not just developing new supply, but also tackling legacy issues from a time when housing delivery perhaps focused more on quantity over quality. “This review shows that good progress is now being made in tackling such issues for the regeneration areas of Limerick city. Much work remains to be done, but in the two years since the implementation plan was launched, notable progress has been made in the physical regeneration and I’m particularly delighted to see first-hand, the investment being made in the social regeneration, including the involvement of residents which underpins this work. A series of recommendations have been made across all three pillars. Email “More jobs, less crime: Limerick's regeneration is working ”. Feedback on “More jobs, less crime: Limerick's regeneration is working ”.